As the year draws to a close, it is a natural time to begin reflecting on the year and thinking about the next one. The Board kicked this off in early November at our last quarterly board meeting for 2017. It is no secret to those who participate in the Closed FB group– we need more board members. Meet Up also costs us about $200 a year. It is free to the individual members, but cost organizations. Our website likewise has annual costs. In short, the group must have a rolling annual cash flow of about $2000 to cover just the basics. So how do we do that? For last few years, we have funded the organization through the occasional lifetime and annual membership and board dues. Mostly Board dues. When we made the transition from an informal organization to a formal 501c3, it took a certain amount of money. There are multiple legal filings and fees which must be paid, we had to establish a mailing address, and we updated the website and had a professional design our logo, so that we had some branding materials. This was also the time we knew we had to seek an alternative meeting location, we had more than outgrown the Room. That was a significant financial commitment on top of the fees associated with organization formation. So we added up all those fees and the cost of seeking a new meeting space and divided by 10. That was the number of people who had stepped up to be the founding members, willing to sign on the dotted line on the legal documents. There was no magic number– other than to figure out what we felt would cover the expenses. We had to ask ourselves? Does $250 board dues still seem reasonable? Is it too much? Given that our expenses are somewhat less. What other funding models could we look at, that perhaps more aligns with our mission, vision, and values? So we decided– we need to cover the cost of the meeting and we want there to be a bit more cost sharing. So beginning in January, the Monthly Gathering will have a suggested donation of $2-5 per person. Our goal is to try and make the meeting self-sustaining. We have half-heartedly done this by passing the hat at the end of the meeting, but now we are going to have the hat at the front reception desk and really ask that those coming to the educational meeting, have a hand in helping us afford the space. Well… we want to make leadership more affordable. We no longer want only those of financial privilege to be able to take on the task of Board Membership/Leadership. It was never the Board’s intention to do that in the first place. We agonized over the dollar figure and we understood it was high, but that is what it cost it get the legal documents filed. Organization formation is expensive. We are no longer there… what we need now is new ideas, fresh leadership, with a passion to see this organization continue. I am as of January 2018, the final remaining founding board member. I have been nurturing PolyColumbus for about 10 years. I am retiring in June 2018. We feel like board dues of $10-15 a month, would be more than enough, given our new model for the monthly gathering. We need at least four new Board member by June 2018. Board membership is a two-year term, but we can have 1-2 of these broad terms be 1 year in length, to avoid having them all come up for renewal at the same time in 2020. So in November, the Board had a heart to heart instead of our normal, formal meeting. Something had to happen. And now we are turning to the members of PolyColumbus and saying– we need you. We need you to support us with your time and talent and less of your treasure! Our financial needs are more modest, so board dues should adjust the match that. I love this community, so very much. Trust me when I tell you it has always, always been a labor of love. As it should be. So I am saying today– please, step up, this community needs leadership– of all types to remain strong and vibrant. It is a place that brings us all so much. With Board dues of $10 a month, we think we can make the math work and we can build a board that has the ideas and the passion to see PolyColumbus into the future. Interested? See me or any board or staff member. Hello 2017! We have a full slate of activities going as always. New to the group? Check out the Monthly Gathering, the PolyLounge or start off at our small group (4 people, plus a host) Coffee Amory. Solo Poly Peeps/Relationship Anarchists– In Janurary, PolyColumbus will be hosting a meet up with a discussion just for you. First meeting is 1-17-17. Details on the calendar, in the Facebook Group and on meet up. Hope to see you there. December 11, 2017 – Potluck! Fishbowl! Further details are available on our calendar and on Meet Up. So, How Do I Meet People? I wrote about number 4 in 2012 on my blog. You can find that post here. I still feel that way today– only we have grown and with growth comes change. When these guidelines were created, we only had the Monthly Gathering and maybe a random summer picnic. Times have changed. Saturday night we had a dance with over 80 people in attendance. So here is how you meet people at PolyColumbus Events. Go to events designed for meeting people and making connections. Go to the PolyLounge. Join the Group at the upcoming PolyColumbus Eats Out! Check out game night. When the group meets up around town– go. Go to one of the two after the Monthly Gathering Socials. Those social events are designed to build relationships of all kinds. These events help build friendships and community, they are times that you can share a conversation and get to know someone better. Yes, they are times that flirting can and does occur. The Monthly Gathering and educational events are designed to support and educate all our community members. Some of our community members may not be looking to add partners now or ever. It is important that we have spaces where the pick up lines and flirting gets checked at the door. Just as it is as important, that we host events that are safe and welcoming places for making connections. It is also important to note that one of our Core Values is Consent. Consent is the foundation of ethical intimate relationships. We model consent that is enthusiastic, fully informed, and free of coercion. This is all we ask members and visitors to remember. Have consent. Be aware. There is a difference in making connections and/or asking someone to coffee vs. creating an environment where someone feels uncomfortable. If someone seems uninterested or uncomfortable, stop. Disengage. It is also important to note, that not everyone is as open, as experienced with, sure about, or interested in building new connections. Respect that. We are on a journey, a highly personal journey. In addition to honoring our Core Value of Consent, we aim to find balance with respect to another Core Value – Inclusion. We all bring different life experiences and perspectives to our relationships. We take affirmative steps to make our organization’s services and support equally accessible to all who desire it, not simply in principle but also in fact. The balance is tricky. Having every space be one where flirting is endorsed tends to exclude people that view that attention as both unwanted and unwelcome. Having all spaces that we gather as a community as flirting free zones, hinders our ability to meet others, form relationships, and help others on their journey. Bottom line: The Monthly Gathering and PolyColumbus Educational Events are still a flirt free zone. Our Social Events are more relaxed and are exactly the places we hope you make connections and experience the vibrant and interesting community that we are. We fully expect you will make a friend or two and maybe more. New Year! New Monthly Gathering Meeting Space! New Meeting Time! As lovely as we thought Whetstone would be, it was more or less an echo chamber. It was centrally located and allowed us have room to grow — if only we could hear each other. With the opening of The Space, we have a new home for our Monthly Gathering. We have given up the central location, for a better more versatile meeting space. We are going to try it out. Are you unfamiliar with Broad Street near Mt. Carmel East? Never fear! We have turn-by-turn directions with photos. With this shift, we will also have a slight change in the hours of the meeting. Monthly Gatherings will now be from 7:15 pm to 8:45 pm at The Space. Doors will not be open until 7:00 pm. There are a number of great places to eat very near The Space. We will also be having our After the Meeting Social at a restaurant/bar just minutes from The Space. So come Monday, January 11, 2016 to check out the new meeting space and to throw your topic into the FISH BOWL. We will be discussing as many as we can and keeping some of the great ones for future meetings. 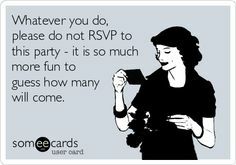 Actually– lots of people RSVP… alot. With the vast majority of Social Media — an RSVP is as much an announcement of intentions as it is a hand raised, saying count me in. PolyColumbus is committed to being on a wide variety of social media sites, because we know our members, fans, friends, and lurkers are on a variety of social media sites. Some folks gravitate to Meet Up and others Facebook. Others still are on Fetlife, so that they keep their kink and poly life off the Facebook. PolyColumbus is not the social media police. Really– we get it. We are all OUT in different ways and to varying degrees. It is all good. Except– in the past year we have had several events– where we have had absolutely no idea how many people are coming. Maybe 5 and Maybe 15. [and 35 show up!] Some of you social animals are RSVPing all over the place. We love that, the free publicity is exactly what we want, it is why we are on Social Media! Until we go to figure out the headcount and end up scratching our heads. Is Bob DaisyChain the same as Chains In Flowers– hey do those photos match? I don’t know… they have friends in common, maybe? What do you think? What we think is we need some way to keep the social media RSVP/publicity/hey friends, I am going here magic alive and provide our event planners and committees with a better way to keep track of people, so that we make appropriate venue choices, can reserve tables at cool places to eat, and take advantage of group discounts, which keeps our events affordable for all. And therefore, we are adopting a new RSVP strategy. The official event head count will be handled through Brown Paper Ticket. BPT is a great organization and the service is free for events with no cost. If our event has a cost, the fees are modest and the processing safe and secure. The advantages are many. An accurate headcount, reports mailed to us. It will ease the burden of arranging events like camping trips and dinners out on the town. It will also make prepaid events easier and more budget friendly for us. Did I mention easy. All events posted will have a link to BPT. Just click, get your tix and we are ready to PARTY. On occasion we will use Sign Up Genius for special events, like potlucks, PRIDE, and other volunteer opportunities. Our members and fans are the best. Really, you have adapted to all our changes in 2015 and 2016 is shaping up to be the best year yet! With several of these changes implemented, we are poised to plan some really amazing experiences. We hope that you continue to join us! This month– we will have three smaller gatherings at the same time. The Whetstone Shelter house is not available due to the Columbus Day Holiday. For those members who are staff or would like to become staff there will be a meeting hosted by Karen and Neil. If you have not talked to a board member about being on staff and would like to learn more about staff positions– please contact Karen or Neil for an invitation. For the monthly gathering– we will be meeting in two locations– one south and one northwest. The goal is to have our normal monthly discussion and check out alternative social gathering/meeting spots. Watch Facebook and our blog for additional information. In November, we are back to business as usual. Part of our mission as an organization is to seek to support communities where we have overlapping membership and overlapping mission. Several of our members and board members are connected to Columbus’s Bisexual & Queer Communities. BiLocal is an organization dedicated to making bisexuality more visible in our community. This month they have two very different and very important events happening. The event is at the Columbus Public Health Department, 240 Parsons Avenue, Columbus, Ohio 43215. It starts at 6:30 pm. It is focused on health and access to competent health care that address the concerns of bisexual people in our community. This event is at Wall Street, 144 N. Wall Street, Columbus, Ohio 43215. Tickets are available through Eventbrite and at the door. The event is from 7:00 pm-10:00 pm. Several PolyColumbus members and board members will be attending. It is a great time to head out, support our community and have a great Friday! For more information about either event, use the links above to contact BiLocal directly or contact a member of the board! What do we desire and require from our intimate relationships? What does freedom mean, in the context of a romantic and/or sexual union? What is our definition of commitment? How does the Buddhist concept of impermanence affect how we love and are loved? We will discuss these, and other probing questions, in this dynamic afternoon gathering at the CIC. Dr. Anya will share from her new book, Opening Love: Intentional Relationships & the Evolution of Consciousness, and lead dialogue about how to cultivate intentional, open, and poly relationships based on the principles of freedom and non-possession. At the conclusion of the meeting, Dr. Anya will be available to sign your copy of Opening Love. Anya Trahan (“Dr. 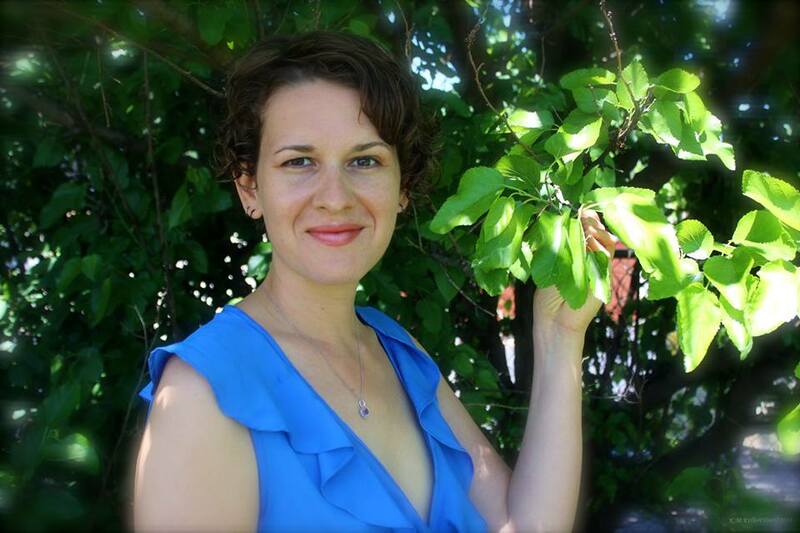 Anya”) is a healer, teacher, relationship coach, and writer. Her nonfiction book, Opening Love: Intentional Relationships & the Evolution of Consciousness, is a cornerstone of the global polyamory movement. She is a certified Reiki Master and holds a PhD in English. Please RSVP to the Facebook Event. RSVP is not required but is helpful and will impact chair placement. Copies of Dr. Anya’s book are available on Amazon.com and other fine retailers. Copies will be available the day of the reading. We are pleased to announce our first PolyPartner event upcoming on August 8th. If you are an annual or lifetime paid member of PolyColumbus, you are eligible for a 10% discount. Please contact Karen at karen.hill@polycolumbus.org for the discount code. To sign up go here. Seating is limited, so registered early to make sure you don’t miss out on this great workshop. Join Dan & dawn for a full day of polyamory! Dan & dawn have presented 100’s of classes and workshops over the past decade. They have been practicing polyamory for the past 15 years and are taking the full day “Polyamory Plain & Simple” intensive on the road to share it with as many people as they can. 9:30 AM – Doors open. All proceeds will directly benefit the Columbus Insight Center and support its mission of education and community support.